Salvage value. Salvage value is the estimated amount that a company will receive when it disposes of an asset at the end of the asset's useful life. Often the salvage value is estimated to be zero. However, we assumed $500 in order to demonstrate how an amount would be handled. Salvage value is also referred to as disposal value, scrap value, or residual value. Useful life. The useful life of an asset is an estimate of how long the asset will be used (as opposed to how long the asset will last). For example, a graphic artist might purchase a computer in 2017 and expects to replace it in 2019 with a more advanced computer. Hence the graphic artist's computer will have an estimated useful life of 2 years. An accountant purchasing a similar computer in 2017 expects to use it until 2021. The accountant will use an estimated useful life of 4 years when computing depreciation. Both the graphic artist and the accountant are correct—the graphic artist in using 2 years and the accountant in using 4 years—even if the computers will be in working order for many years after their useful lives end. Whenever estimates are used in accounting, it is possible they will change as time moves forward. For example, a company bought a machine for $14,000 on January 1, 2013. At the time it was estimated to have no salvage value at the end of its useful life estimated to be 7 years. The company used straight-line depreciation. In 2017 the company realizes that technology will cause the machine to be obsolete by December 31, 2018 and there will be no salvage value at that time. Instead of the original useful life of 7 years, the company now estimates a total useful life of only 6 years (January 1, 2013 through December 31, 2018). This change in the estimated useful life affects only the current and future years. In other words, in this example the depreciation for 2017 and 2018 will be affected. The depreciation already reported for the years 2013, 2014, 2015, and 2016 cannot be changed. Any amount not depreciated as of December 31, 2016 will have to be depreciated over the years 2017 and 2018. These accounts show that $6,000 ($14,000 - $8,000) remains on the books at December 31, 2016 and there are only two years remaining (2017 and 2018) in which to depreciate the remaining $6,000. The remaining $6,000 will be divided by the 2 years remaining and will result in $3,000 of depreciation in each of the years 2017 and 2018. Note that the depreciation amounts recorded in the years 2016 and before were not changed. 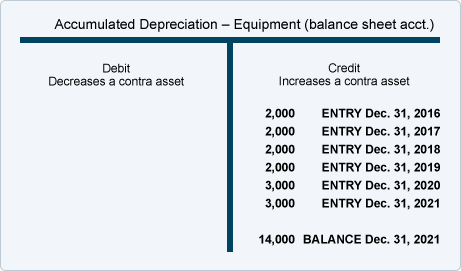 Accelerated depreciation is an alternative to the straight-line depreciation method. 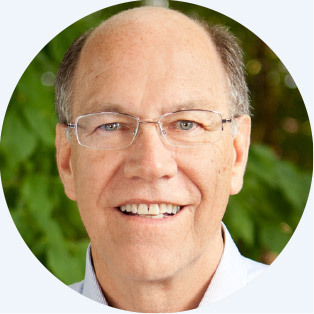 Compared to the straight-line method, accelerated depreciation methods provide for more depreciation in the early years of an asset's life but then less depreciation in the later years. Under any depreciation method, the maximum depreciation during the life of an asset is limited to the cost of the asset. The difference in depreciation methods involves when you will report the depreciation. It's a matter of timing. Again, the total depreciation during the life of the asset is the same regardless of the depreciation method used. As stated earlier, most companies use the straight-line method of depreciation for their financial statements. It is easy to compute and to understand. With straight-line depreciation the company will have the same amount of depreciation in each of the years of the asset's life. 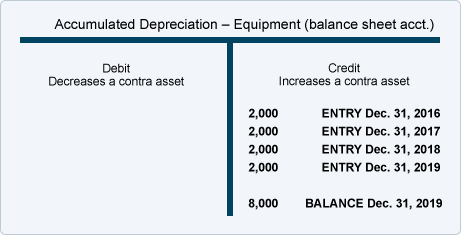 Accelerated depreciation will mean larger Depreciation Expense in the early years of the asset's life and then smaller Depreciation Expense in the later years. This larger expense in the earlier years will mean the company will report less profits in the earlier years of an asset's life (and greater profits in later years). Generally this is not appealing to most companies. As a result most companies will opt for the straight-line depreciation for their financial statements. However, using an accelerated depreciation method on the company's income tax returns is very appealing. Higher depreciation in the early years of the asset means immediate income tax savings. Smaller depreciation in later years is far into the future. Generally, it is better to take the income tax savings sooner rather than later. Fortunately a company is permitted to use straight-line depreciation on its financial statements and at the same time it can use accelerated depreciation on its income tax returns. 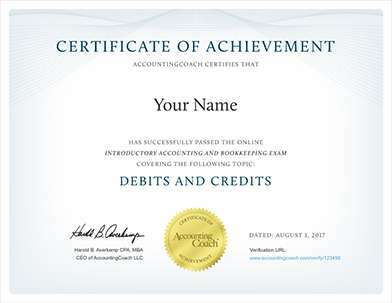 To learn more about these accelerated depreciation methods, refer to an Intermediate Accounting textbook. If you wish to use accelerated depreciation on your income tax return, refer to the Internal Revenue Service publications and/or consult with a tax professional.